Boxing is, by definition, a cruel sport. Two human beings are attempting to inflict physical damage upon each other. In the heat of the battle, compassion can be a fighter’s biggest enemy. But not everybody can be a champion. Not everybody can even be a contender. Given that nearly every fight produces both a winner and a loser ensures that not all professionals can even have winning records. Chris Arreola will never be a champion. His last, long-shot hope for making that dream ended Saturday night in Birmingham, Alabama, when he sustained a beating at the hands of current WBC heavyweight champion Deontay Wilder. Arreola turned pro in 2003 and won his first 27 fights, with only one of them going the distance. In 2009 he challenged Vitali Klitschko. It a fight that would set the theme for his career, Arreola was stopped in his corner after Round 10. His heart was bigger than his talent. Arreola lost a majority decision to Tomasz Adamek in 2010. He won six more fights before facing Bermane Stiverne in a title-eliminator in April 2013. Stiverne busted his nose and beat him up, en route to a unanimous decision. But Arreola rebounded from that fight to derail the heavily hyped Seth Mitchell in Round 1 in September 2013. That set the table for a rematch with Stiverne in May 2014, this time for the vacant WBC belt. For the first five rounds of that fight, Arreola looked as good as he has in his entire career. He boxed intelligently against Stiverne, to build an early lead. But in Round 6, the hard-punching Stiverne caught up to him and ended the fight. Arreola has never been the same fighter since. In March 2013, he won a shockingly close eight-round decision over club fighter Curtis Harper. In September of last year, he drew against Fred Kassi, a stepping-stone level fighter. He barely survived on a split decision against fringe contender Travis Kauffman last December, only to have the victory over turned when he tested positive for marijuana. So Arreola didn’t really deserve this last title shot against Wilder. He admitted as much. But as a long-time veteran of this brutally tough sport, he was determined to make the most of it. But once again, Arreola’s heart proved to be bigger than his talent. Indeed, it was that giant heart alone that allowed him to survive Round 4. By the end of Round 8, his corner, and everybody else watching, had seen enough. 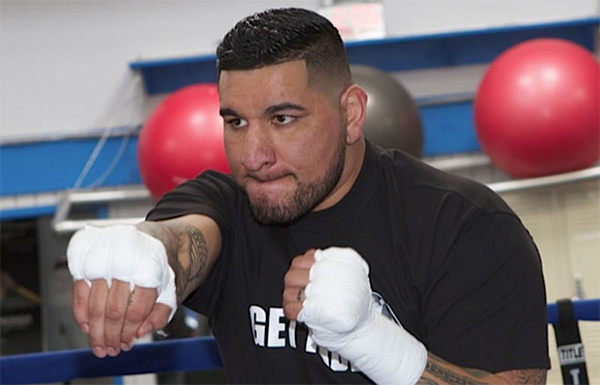 Serious fans of this generation will have a fond memory for Arreola. He’s been as tough and courageous as a fighter can be, championship or not.